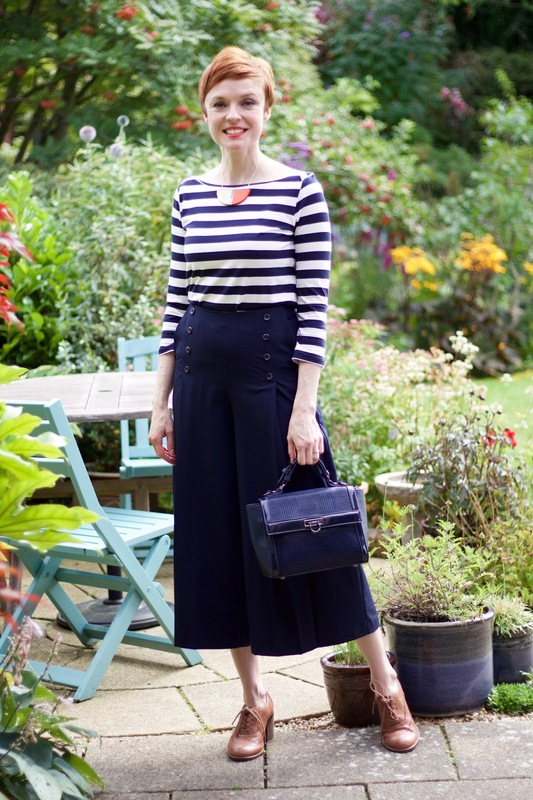 Classic Nautical Style, Over 40. Breton stripes (and nautical styling) is traditionally associated with Spring and early Summer. However, I've noticed that stripes have been creeping into other seasons 'new' ranges. Stripes are for all seasons. Today's outfit would be perfect for a spring day, but it did not look odd or out of place in early autumn. There are fewer and fewer "Rules" when it comes to style and fashion these days. 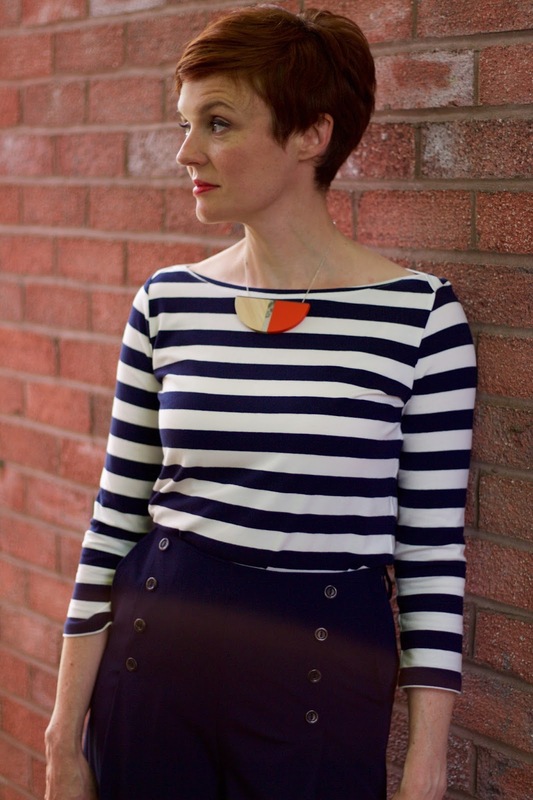 If you like a breton stripe then wear it! This look is pretty classic in style... especially for me! 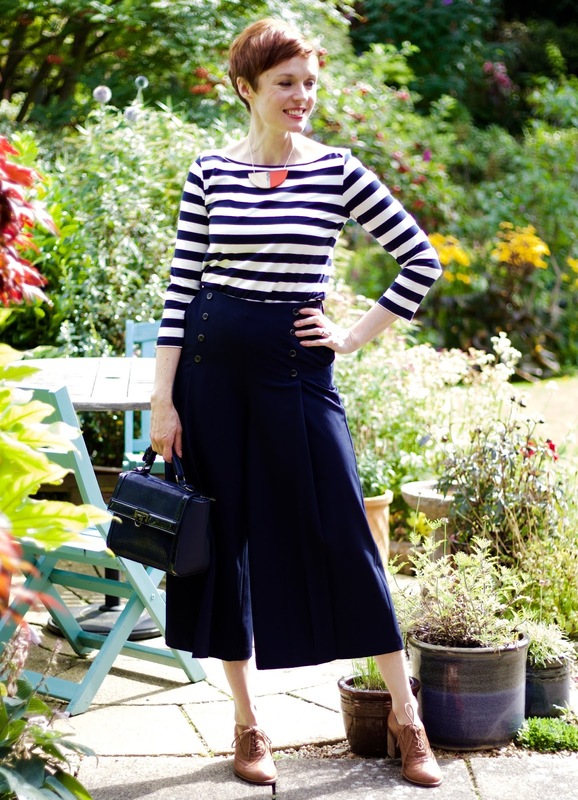 Tailored culottes, and a striped breton top, in cream and navy. I've paired this simple look with a pair of classic brogues, and a navy top-handle bag. A tiny dash of colour comes from my necklace.... I couldn't resist colour all-together! Or, do you prefer Spots? Spots are my number one love, followed very closely by stripes. Love culottes and this outfit has to be one of my most favourite outfits. Samantha, this outfit is simply charming on you. I have no doubt (zero) that you will be a big success with your capsule wardrobe. You always delight. I love particularly your culottes, the buttons, the high waist, the really wide legs!, and how lovely they look paired with your brogues! such a brilliant combo! You always know which pair of shoes to pick! Breton stripes are fabulous the whole year long! A striped top is probably attractive and broadening in just the right area of a woman's body.. Stripes are a classic look for a reason eh? By the way, having just finished reading the great photographic tips on the latest post of Not Dressed as Lamb I feel I must tell you that i think your editing is terrific! YOUR shots are not boring. Windblown and goosebumpy, perhaps but that adds to the realistic vibe! To Tuck or Not to Tuck... That is the Question. Blogger Stats, Page Views, Spam & Bad Bots! 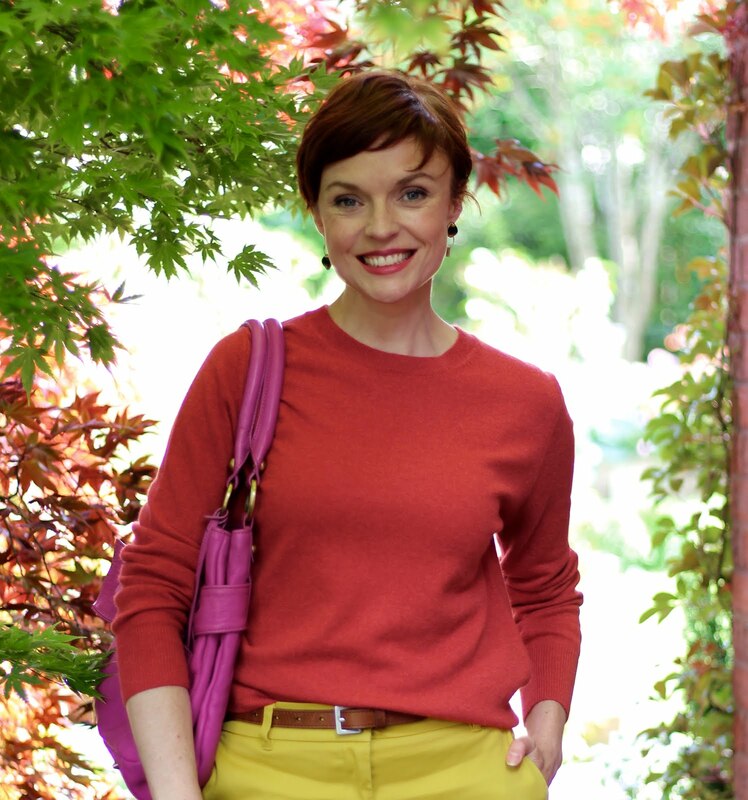 Yellow Trousers in Autumn, with Leopard & Red! Red Boots Go With Everything!